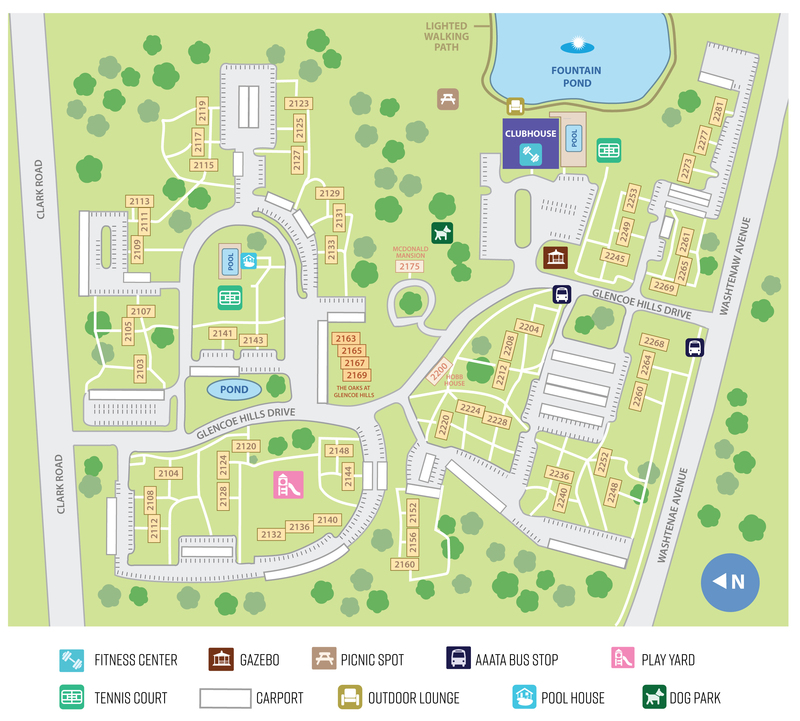 Glencoe Oaks located in Ann Arbor MI offer you two, three- and four-bedroom custom-designed apartments. Each of these newly constructed apartments feature granite countertops, breakfast bars, slate kitchen energy star appliances, high efficiency washers/dryers, oversized walk-in closets, double bathroom sinks, beautiful vinyl wood flooring in main living areas, covered parking and so much more..
Nestled inside the beautiful wood setting of Glencoe Hills Boulevard, our community features two swimming pools, two double tennis courts, pet-friendly lit nature trails, picnic areas, and a playground. Our fully equipped 24-hour fitness center, beautiful fireplace, flat screen TV, full service kitchen and wet bar can all be found in our cozy two story clubhouse.